The worktops are made from phenolic resin. Phenolic resin is manufactured from natural kraft sheets saturated with phenolic resins and processed under heat and pressure. Phenolic resin worktops are chemical resistant, lightweight, oil and moisture resistant, anti-bacterial and anti-fungal, heat resistant with continuous heat exposure up to 176C. Phenolic resin worktops are highly durable and economical. 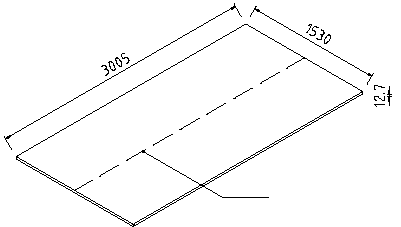 The worktop dimensions are 3005 x 765 mm (W x D). 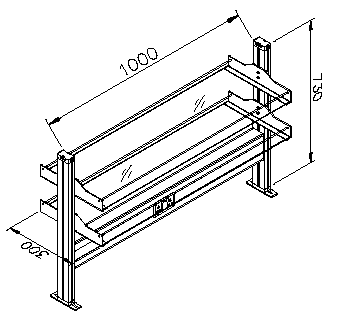 For island benches, two worktops are combined to form a continuous 1530 mm width unit. 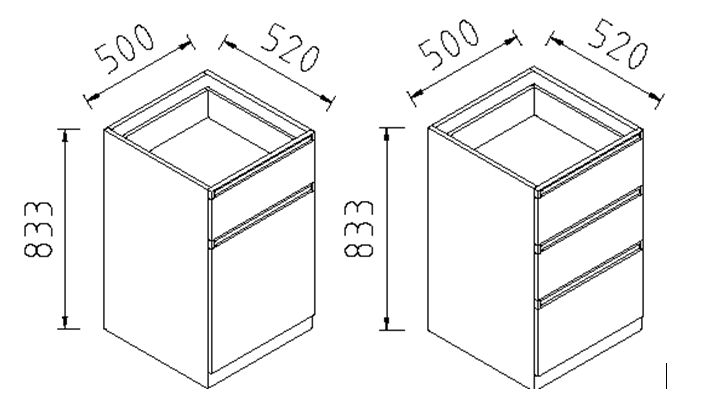 The cabinets are made from laminated melamine, which is a coating of melamine resin upon MDF boards. The laminated melamine boards are durable, scratch resistant, and waterproof. 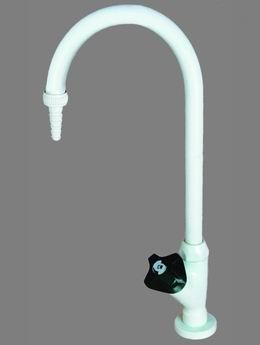 The sink and its fittings are made from highly moulded polypropylene. The reagent shelves frame is made from coated steel. i. Island benches are fitted from a combination of worktops and under cabinets to form a complete monolithic unit of high load bearing capacity. It can also be fitted with reagent shelves to carry bottles and chemicals and underneath the shelves there is an electrical chute unit with sockets on both sides. Sinks can be fitted at the end of the island bench. Please refer to below image. i. Side Benches are fitted to the walls and flooring of the laboratory and supported with the underbench cabinets and worktop to form a monolithic unit securely fitted together. Cable chutes are fitted along the length of the side bench containing electrical sockets for ease of use with instrumentation.